Ask professional footballer Boateng about his match performance on Sunday, October 23rd and you will get two wildly conflicting answers … AC Milan attacking midfielder Kevin-Prince Boateng scored 3 goals in 14 minutes to lead a second half comeback from 0-3 down. Boateng scored the fastest Serie A hat-trick in 10 years (since former French International David Trezeguet did so in 10-minutes for Juventus back in 2001). And, teammate Mario Yepes grabbed a late winner as AC Milan came back from 3-0 down for a sensational 4-3 victory at Lecce Sunday. Check out this short clip of all 7 goals from the AC/Lecce match including Boateng’s killer strikes. 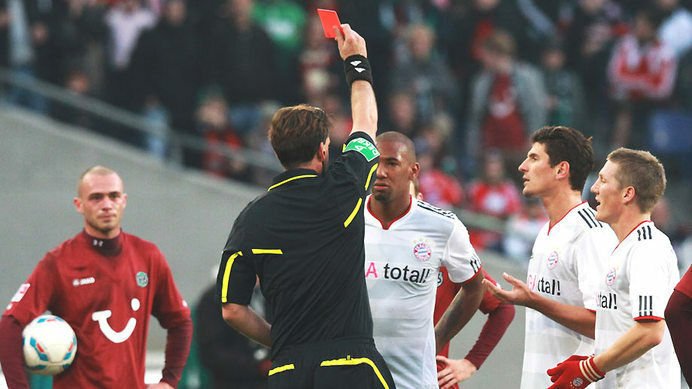 1900 kilometers North, in Hannover, Germany, Kevin’s younger brother Jerome, a central defender for Bayern Munich and member of the German National Team, was shown a red card and ejected in the 28th minute of Bayern’s match vs. Hannover. Boateng lost his cool and pushed one of the Hannover players leading to a sideline melee and straight red card. A several-match suspension might follow as well. 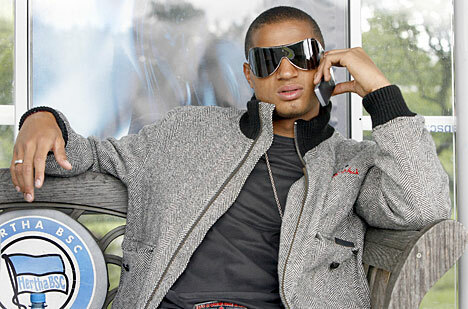 The most recent Boateng newsflash is just the latest in what has turned into nothing short of a ‘True Hollywood Story’ especially after Kevin (who wears Prince on the back of his jersey) single-handedly removed Michael Ballack from the 2010 World Cup in South Africa (and as it turns out from the German squad for good!). The 2010 FA Cup Final set the stage when Boateng’s lowly Portsmouth squad faced off against league champs Chelsea in the Wembley finale. Just before half-time, Boateng swooped in and delivered a bone crunching (in this case right ankle twisting) tackle on Ballack forcing his early exit from the match as well as his medical withdrawal from South Africa. To make things stranger, Kevin had years before plead his allegiance to his native Ghana while his brother favored wearing a Germany jersey for ‘Die Mannschaft’. Of course, the press had a field day declaring that Boateng had fouled Ballack on purpose in order to keep him out of the German lineup and more importantly out of the Germany vs. Ghana first round match. In hindsight, Boateng did Germany a huge favor and a Ballack-less squad played aggressive, fast and team-focused football ending up with a 3rd place world cup medal. 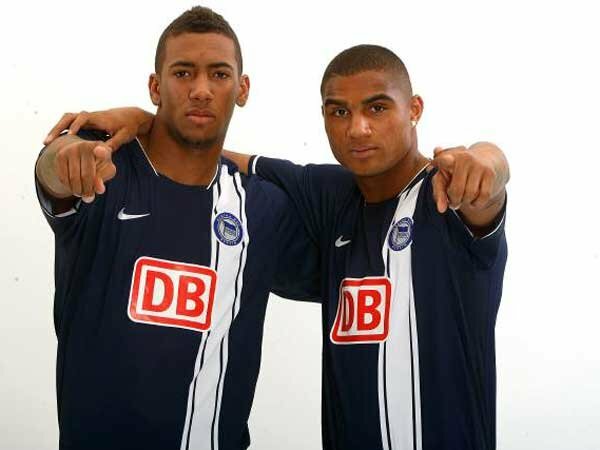 While both Boatengs faced off in the aforementioned Germany Ghana world cup game, their relationship has severely cooled since the dynamic duo played together for Hertha Berlin several years ago.